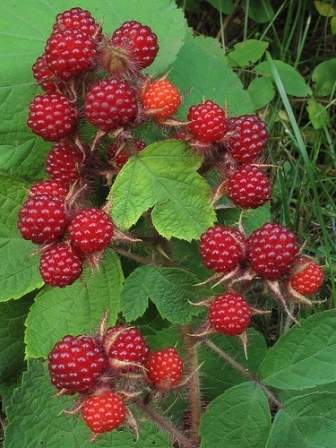 Other names: European raspberry, red raspberry. Raspberry is a quite commonly occurring fruit in all temperate regions of the world. It is also being cultivated and sold fresh in fruit shops as well as supermarkets world over in spite of the fact it has a quite short shelf life and also the labour cost involved in its harvesting is too much. 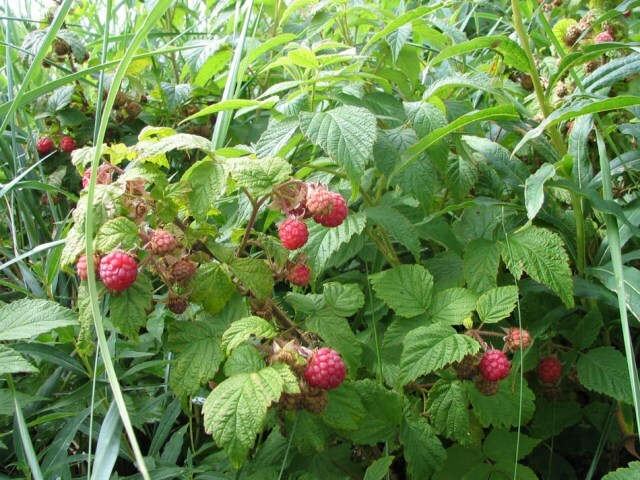 Raspberry fruits are also used in large quantities for making jam and jelly. 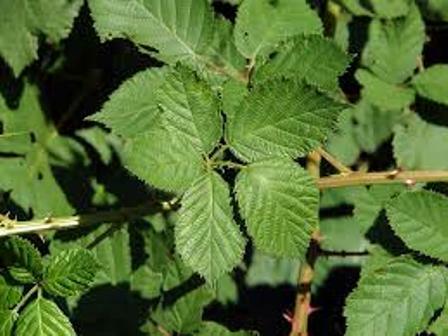 Shrubs 1–2 m tall; branchlets brown or reddish brown, terete, sparsely tomentose when young, with sparse prickles, without stalked glands. Leaves imparipinnate, 5–7-foliolate, rarely 3-foliolate; petiole 3–6 cm, petiolule of terminal leaflet ca. 1 cm, petiolule and rachis tomentose, with sparse, minute prickles, without glandular hairs; stipules linear, pubescent; blade of leaflets narrowly ovate or elliptic, often ovate on terminal leaflet, 3–8 × 1.5–4.5 cm, abaxially densely tomentose, adaxially glabrous or pilose, base rounded, sometimes subcordate on terminal leaflet, margin unevenly coarsely serrate or doubly serrate, sometimes lobed on terminal leaflet, apex shortly acuminate. Inflorescences terminal, short racemes, rarely several flowers in clusters in leaf axils; rachis, pedicels, and abaxial surface of calyx densely tomentose, with dense or sparse, needle-like prickles, without glandular hairs; bracts linear, soft hairy; pedicel 1–2 cm. Flowers 1–1.5 cm wide, sepals erect, ovate-lanceolate, margin gray tomentose, apex caudate; petals white, spatulate, puberulous or glabrous, base broadly clawed; stamens many, shorter than petals; filaments broadened and flattened. Pistils shorter than stamens; ovary and base of style densely gray tomentose. Aggregate fruit red or orange, subglobose, 1–1.4 cm in dia, densely shortly tomentose; pyrenes prominently pitted. Raspberry fruits are delicious both fresh as well as preserved. These make excellent jams and jellies and provide flavorful additions to pies and other baked goods, candies, and even dairy products such as yogurt or ice cream. Herb tea is made from the dried raspberry leaves. Cultivation of raspberry is increasing every year as the demand for this fruit is growing every year for fresh consumption as well as processing. 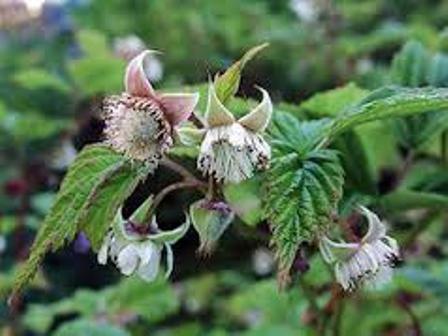 Raspberry plants prefer deep soils with a pH between 6 and 6.5. New plants can be raised from seed, cuttings and by tip layering. Many named cultivars are also sold by nurseries in Europe as well as in America. All the cultivars are self fertile. An interesting habit of this species is that it has biennial stems. It produces a number of new stems each year from the perennial rootstock. These stems fruit in their second year and then die.